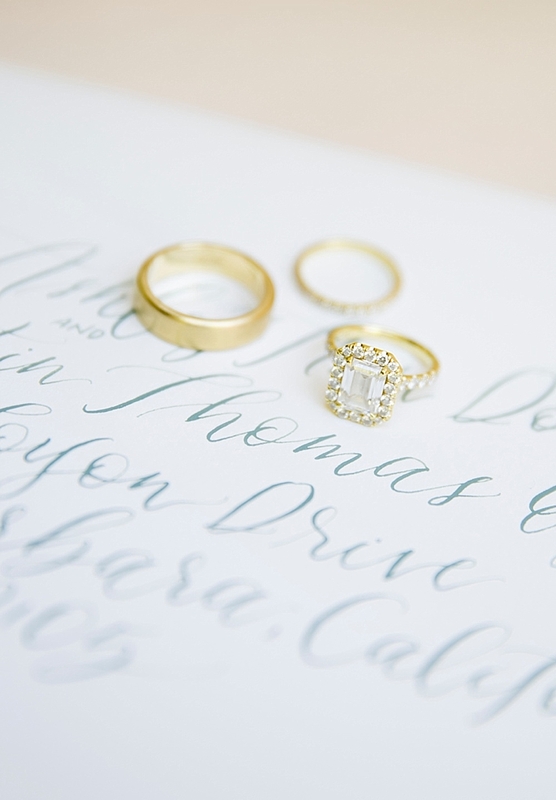 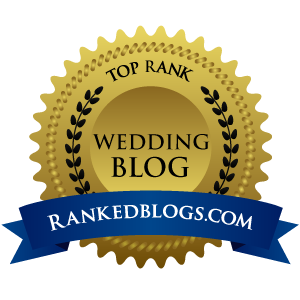 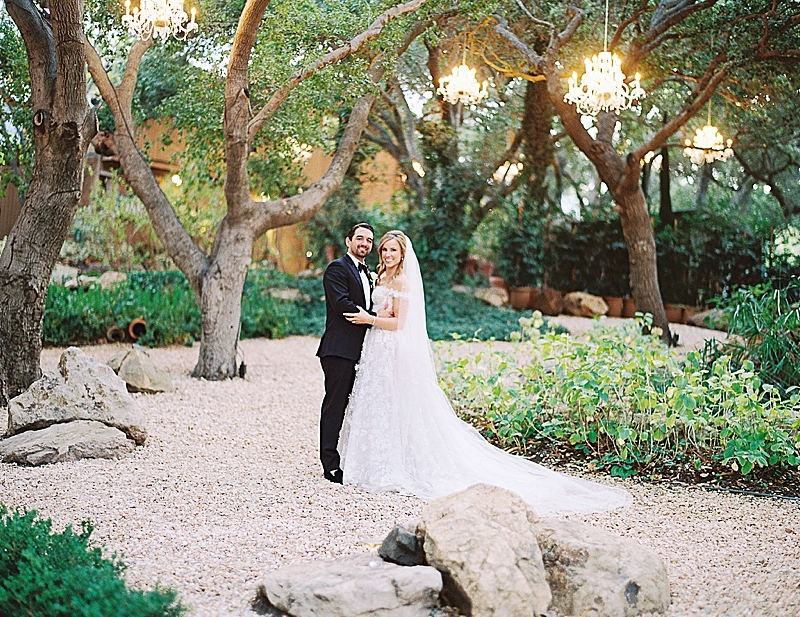 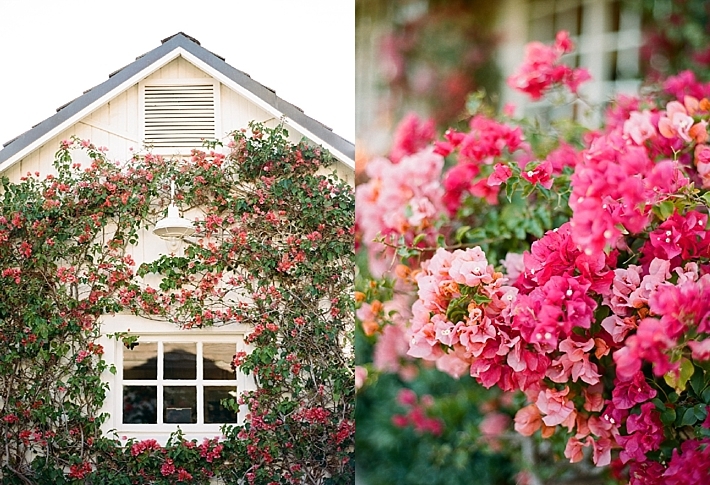 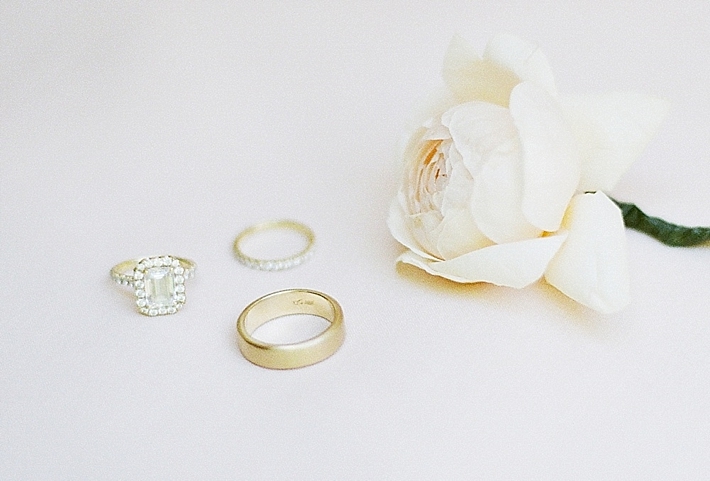 "Ashley and Justin were married at El Montecito Presbyterian Church in Montecito on April 16th. 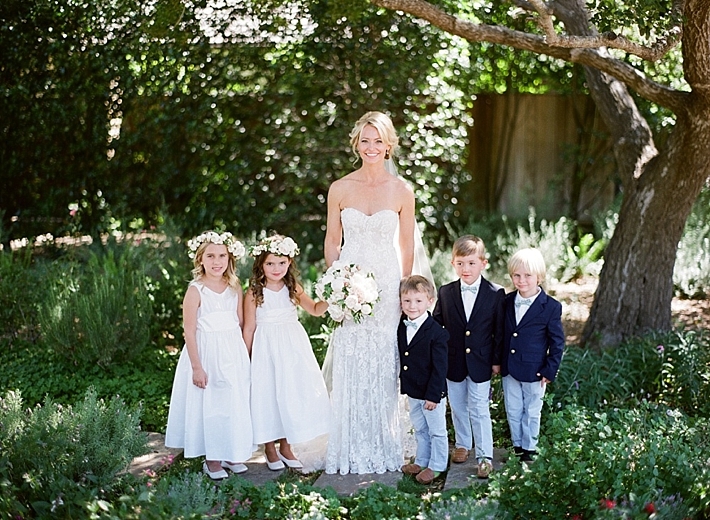 The intimate church was filled with their closest family and friends. 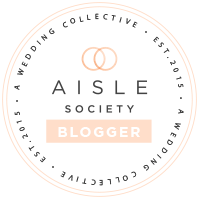 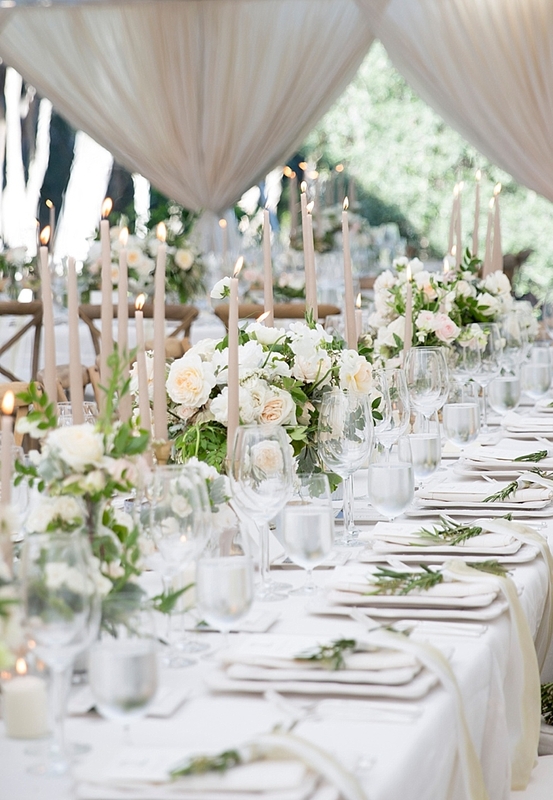 The altar took the center stage as they said their vows in front of a gorgeous table filled with lush garlands of greenery, white floral and a multitude of column candles. 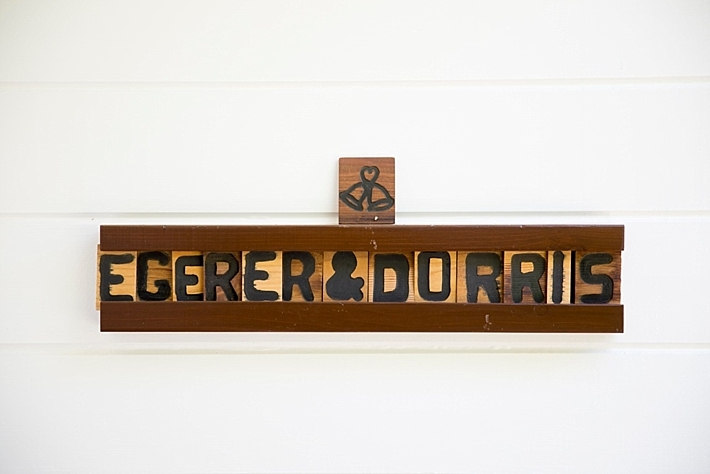 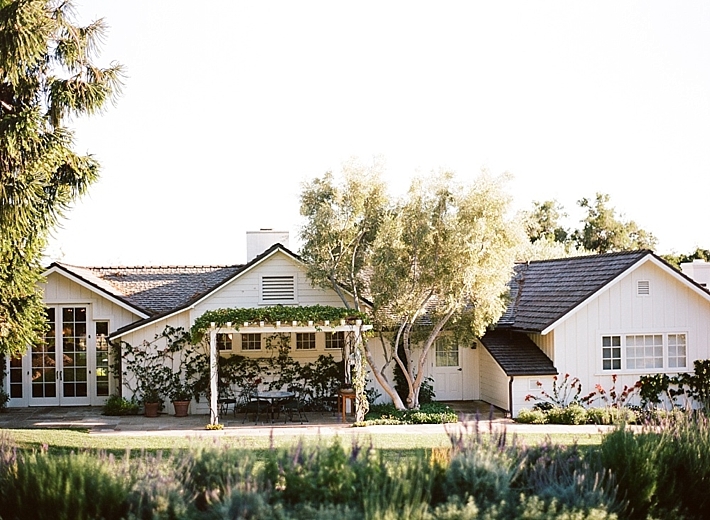 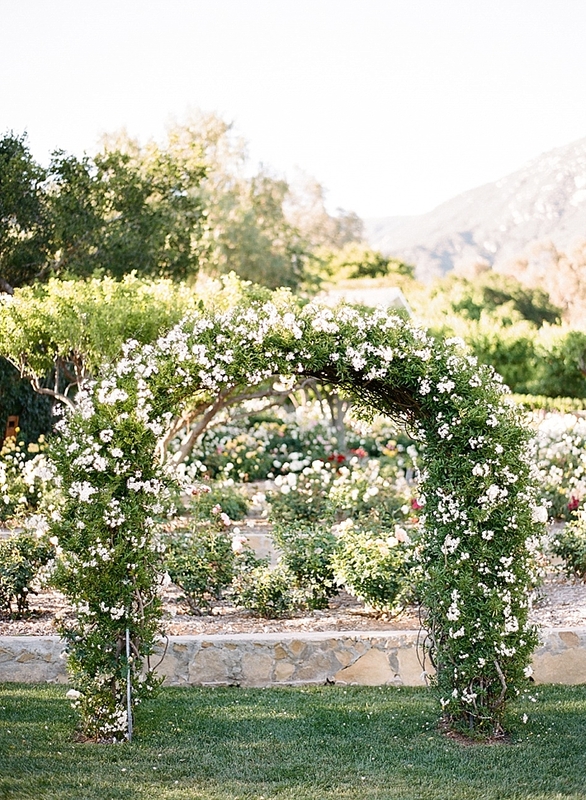 After they said their "I do's", guests were shuttled to the upper estate lawn at San Ysidro Ranch where they were greeted with plentiful hors d'oeuvress and drinks and a stunning view! 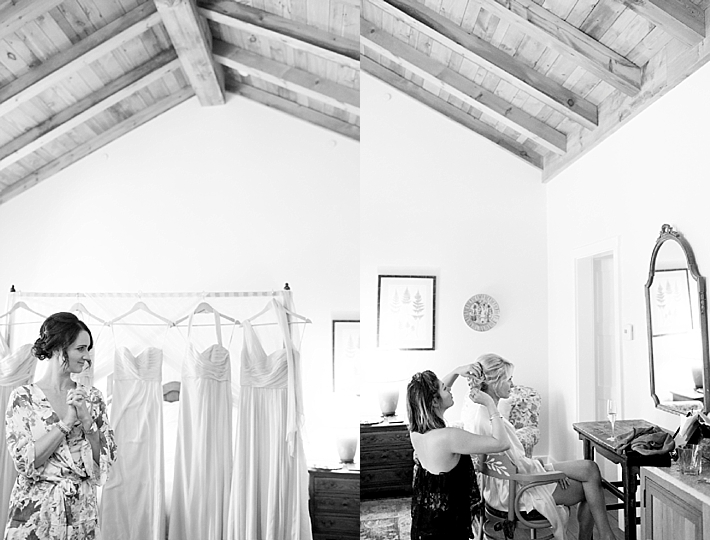 Guests mingled to the sound of a Spanish guitarist in the background. 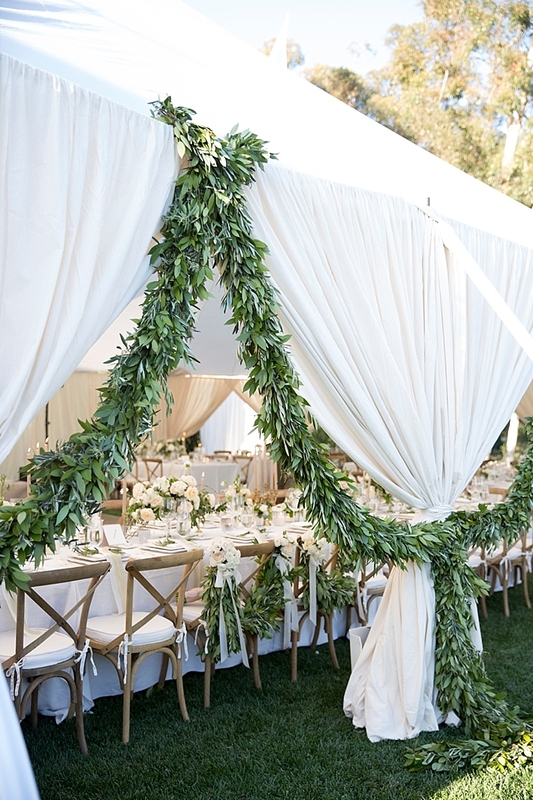 All were invited to take individual bud vases filled with floral that included their names and table numbers, tied in silk ribbon, as they made their way to the entrance of the tent. 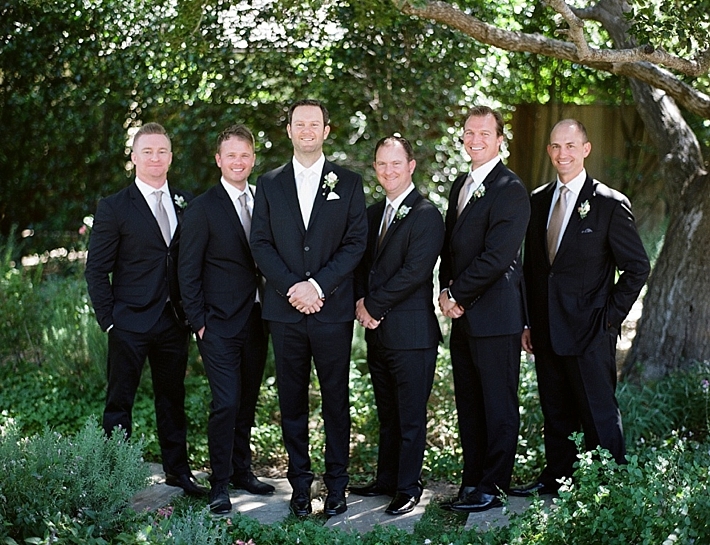 An incredible 10-piece band greeted the guests into the gorgeous celebration. 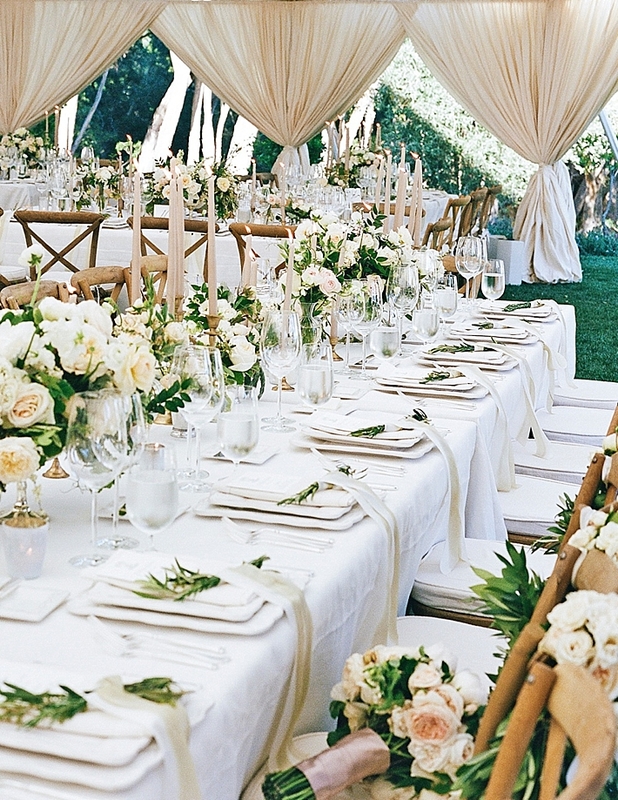 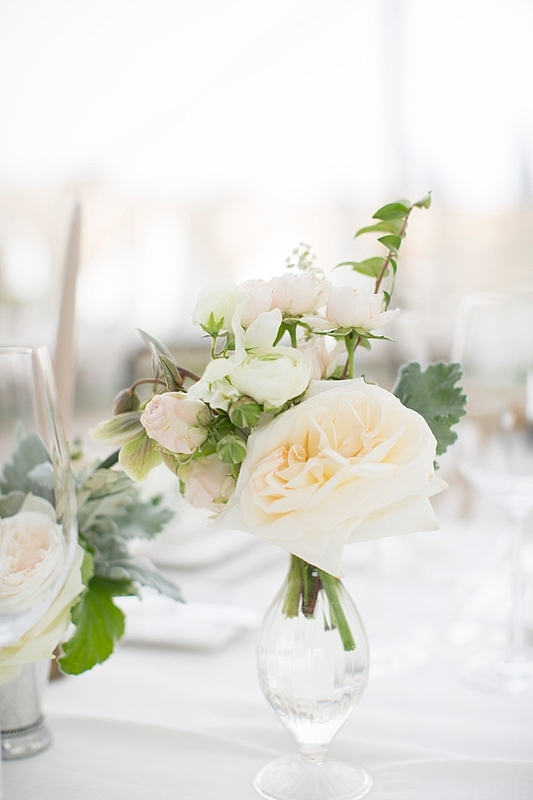 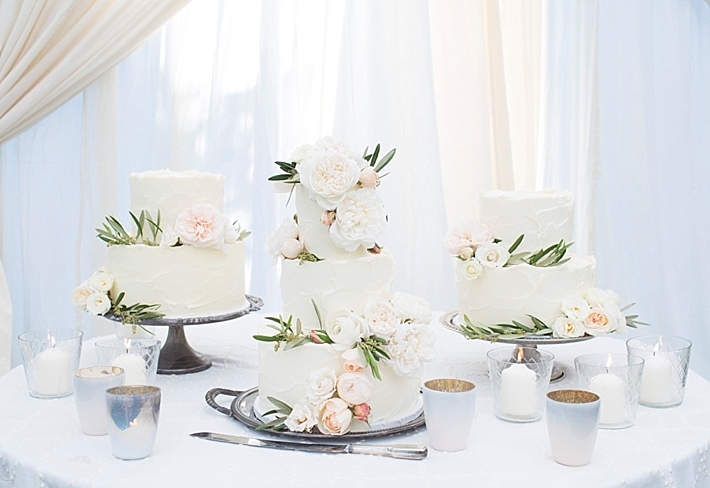 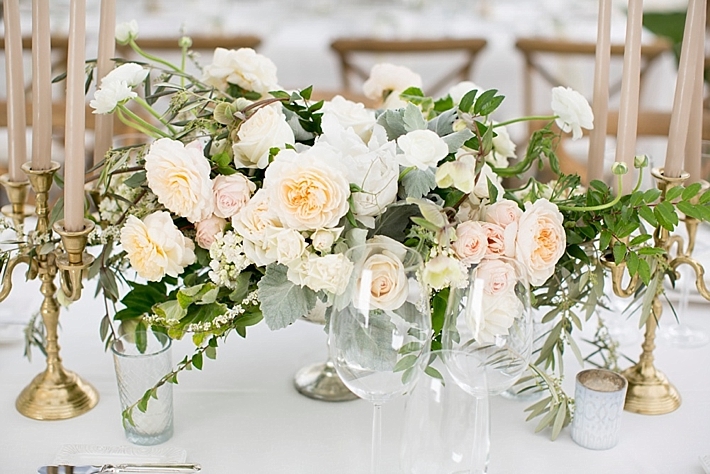 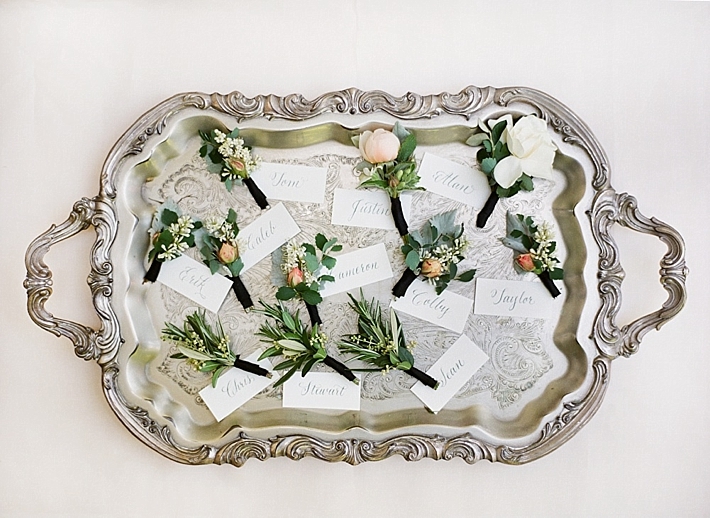 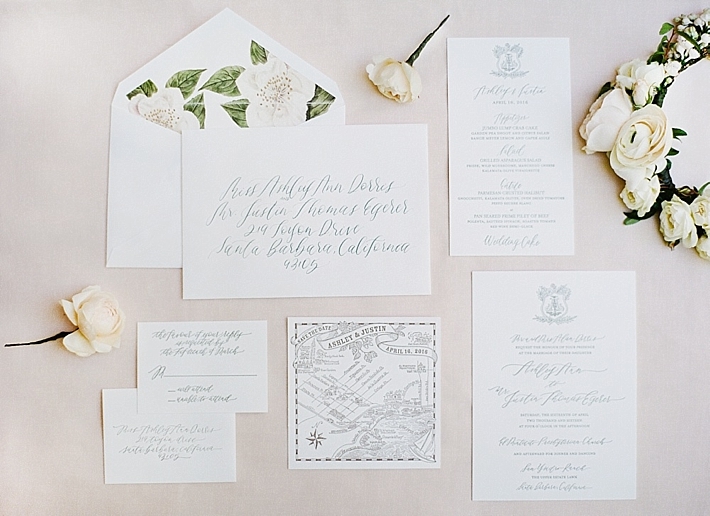 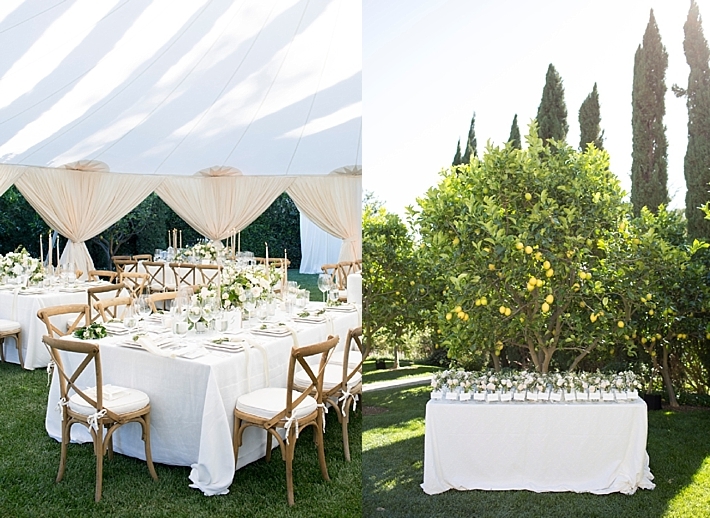 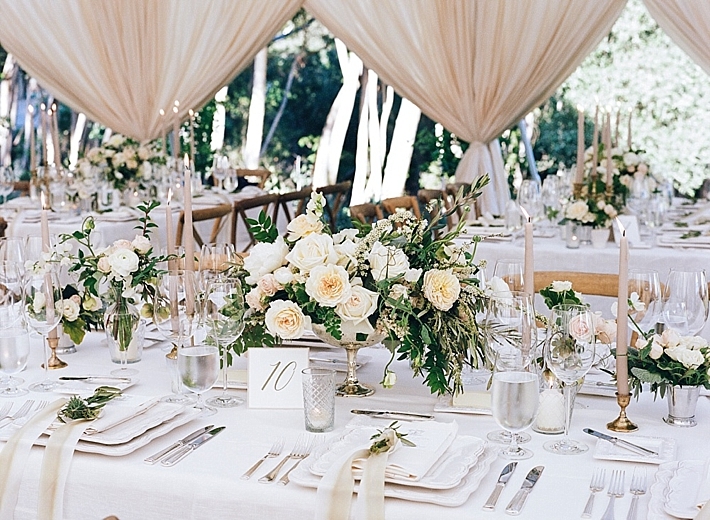 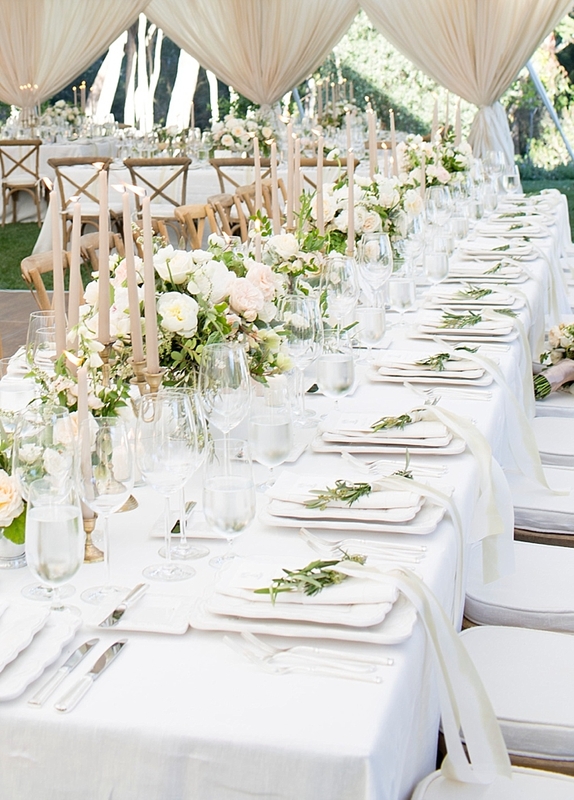 The tabletops were filled with abundant floral in the white, green and blush tones. 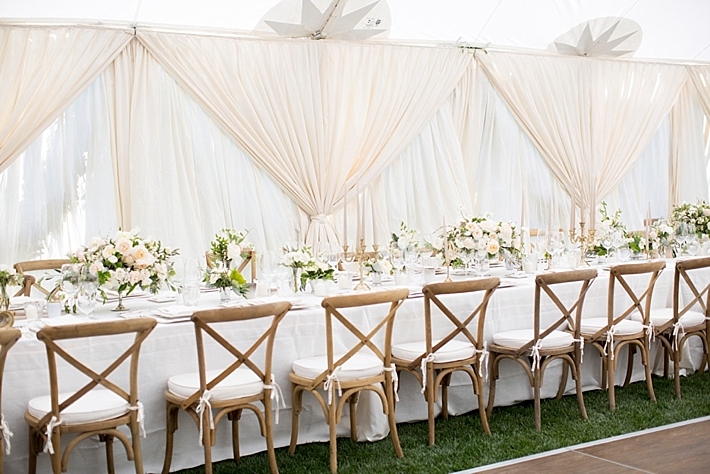 Gold candelabras and candlesticks mixed in with taupe candles to create more warmth and candle light to the tent. 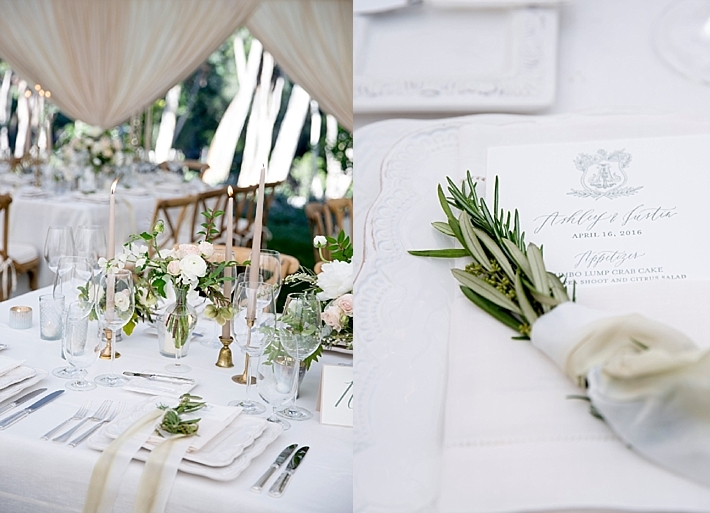 Each individual place setting included a letter pressed menu and napkins that were tied with hand dyed silk ribbon with sprigs of olive and rosemary.